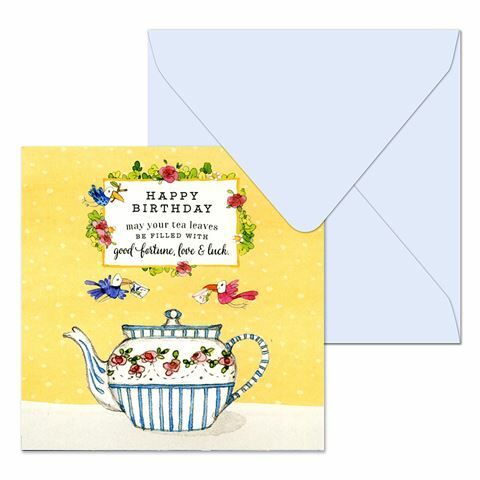 Decorated with a gorgeous illustration of a teapot and a pair of lovely little birds by Australian artist Kate Knapp, this beautiful card is the perfect way to wish a special someone happy birthday. The inside of the card is left blank to fill with your own personalised message, and comes with a blue envelope. Forget the bells and whistles, keep things simple and show someone you care with an Affirmations card. Front of the card reads: “Happy birthday, may your tea leaves be filled with good fortune, love and luck.